I've been eyeballing these on & off ever since Ukulele Magazine reviewed one awhile back-and as fate (and eBay) would have it,I wound up with two! First one (clear) was an auction I won at opening bid. The green one here was a BIN,MIB. Guessing someone was gifted this and wasn't too thrilled with it. Obviously,the looks are what initially draws you. No denying the see thru color is just absolutely beyond cool. 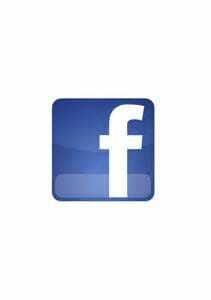 But- looks aside,how is it? Surprisingly enough,I was amazed that it's made of a very sturdy plastic. It's heavier than I guessed it would be. No flimsy construction here! The assembly is very smooth- no mismatched edges or anything like that. It sports silver dots on the side of the neck-which I was delighted with! 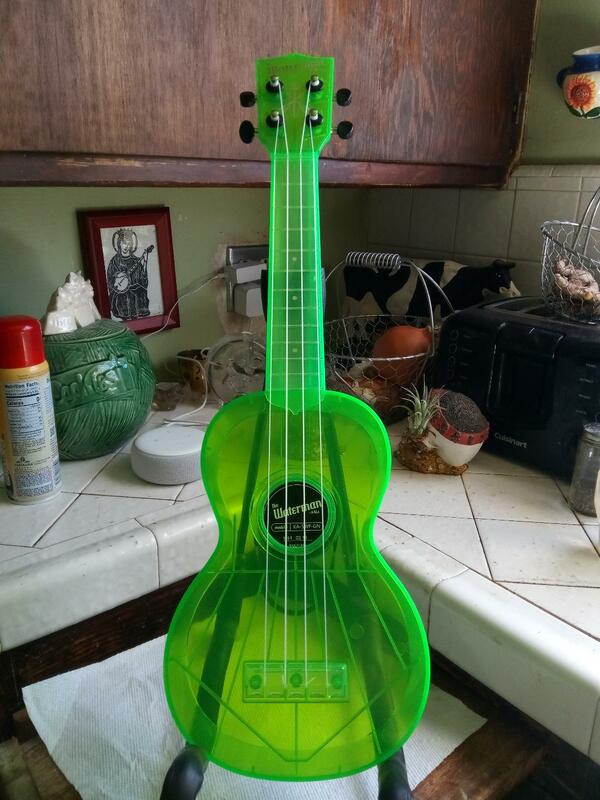 The tone is really good- I wasn't expecting that out of a plastic ukulele. Neck is very comfortable as well. 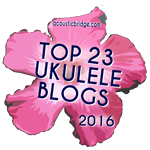 It's a great easy to play uke not only for places like the beach,but anywhere you may go that you don't want to take one of your higher quality ukes. And this is great in the sense that if a kid or friend wants to try it,it's absolutely no problem- no worries they may ding it or something like that. 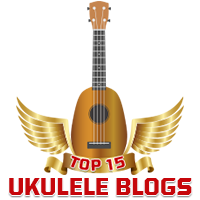 I attend different shows that I've been selling some of my Dad's stuff at,and this uke is perfect for that. It came with a decent drawstring bag to put it in that you can carry like a backpack. The only drawback is the intonation is slightly off high up the neck. Now I would make a bigger deal of that if this were a wooden ukulele. Considering this particular one is a more "casual" model,I'm not holding that against it. And for the most part I wouldn't have noticed if I hadn't been testing it out with my Snark tuner. Lord knows anyone hearing me play at these events isn't going to notice either. 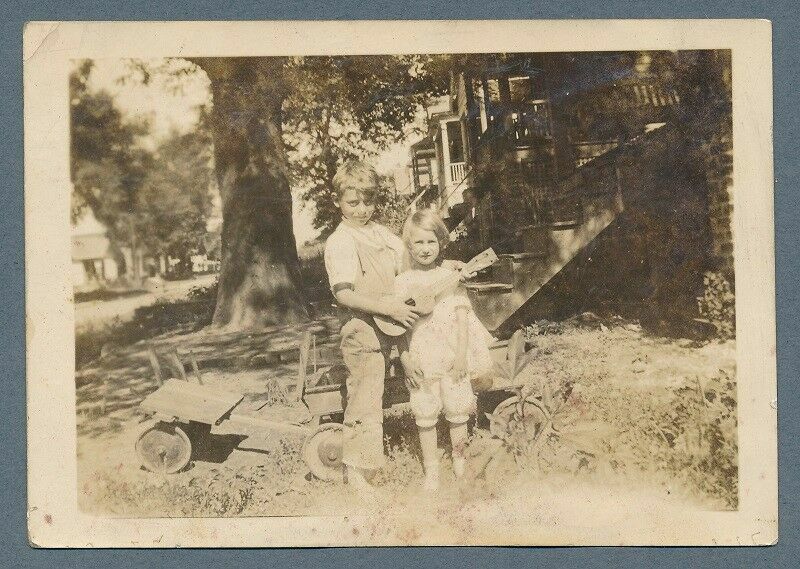 So- in closing,I recommend this model for those of you who want to leave your higher quality ukes at home. 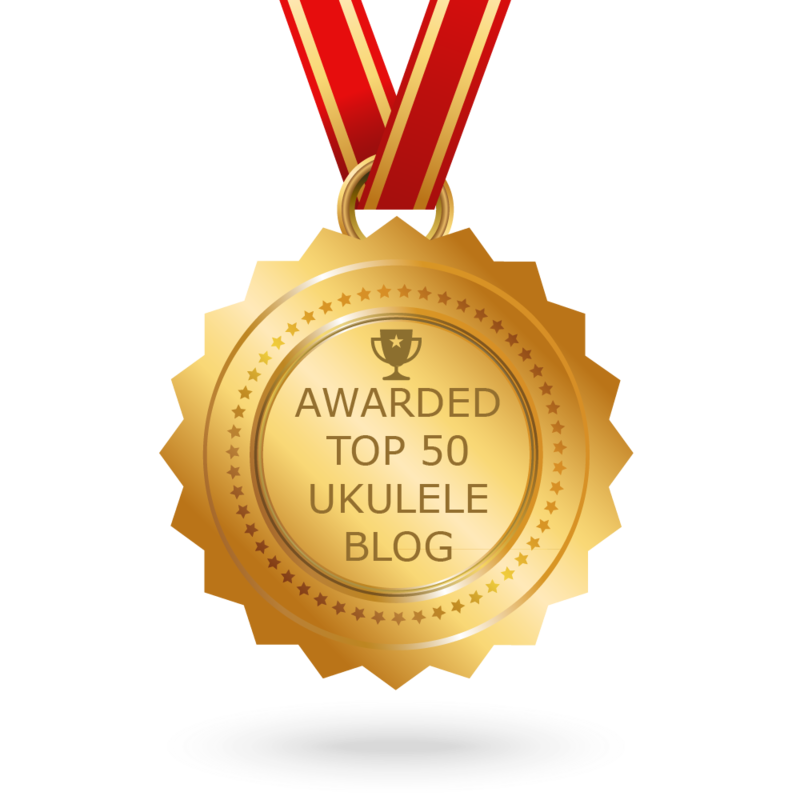 And I think this is a fine starter uke for kids & adults alike!